Ive had the dark side in mind while designing Apple earbuds. 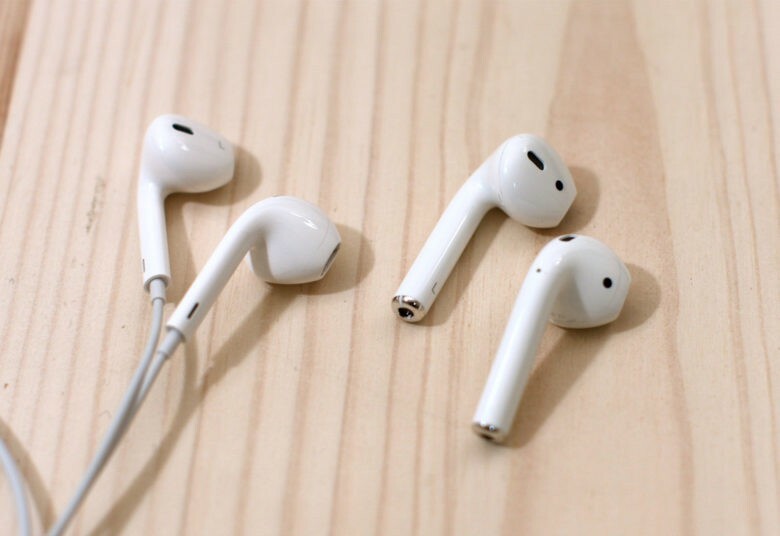 Jony Ive has revealed that the company’s iconic white earbuds were inspired by Star Wars stormtroopers. In a new interview, in which he also talks at length about Apple Park, the Apple design chief describes how he had the dark side in mind while creating them for the iPod. Many moons ago, before rivals followed with their clones, a set of white earbuds was an unmistakable sign that the wearer owned an Apple device. They began shipping with the iPod way back in 2001. Over the years, Apple improved them for comfort and sound quality. But one thing never changed — the white plastic Apple uses to make them. Ive told The Wall Street Journal that he kept the “look of the original Stormtroopers in mind” when he created the design. Years later, stormtroopers would be inspired by Apple. In a 2015 interview, Star Wars: The Force Awakens costume designer Mark Kaplan revealed that he was inspired by Ive’s designs when creating the film’s new stormtroopers of the First Order. “With the Stormtroopers it was more of a simplification, almost like, ‘What would Apple do?’” he told Vanity Fair. In his recent interview with the Wall Street Journal, Ive talks extensively about Apple’s new campus, Apple Park, and the exhaustive architectural process that went into bringing Steve Jobs’ vision for the building to life. He also slams the suggestion that the project contributed to a greenery emergency in Silicon Valley. “He scoffs at an article claiming that Apple contributed to a tree shortage in the Bay Area by buying up so many plants for the campus, ‘as if we’d got to the end of our project and we thought, Oh, we’d better plant some trees,'” it reads. “Apple began working with an arborist years ago to source trees, including varieties that once made up the bountiful orchards of Silicon Valley; more than 9,000, many of them drought-resistant, will have been planted by the time the campus is finished. Around 9,000 trees, many of which will be drought-resistant, will be planted at Apple Park by the time the project is finished. The Journal says some of the trees will be harvested regularly to provide fruit for the staff canteen, where Apple employees can enjoy lunch at a subsidized rate. Ive’s design team will be one of the last to move into Apple Park this fall. Other teams started making the massive ringed campus their new home in April. In total, the campus will accommodate more than 12,000 employees, with executives situated on the fourth floor. Some of Apple’s most important product teams, including those in charge of Apple Watch and Siri, will join the executives, while those in charge of the iPad and the Mac will join the software teams on the middle levels. The full interview with Ive is well worth a read if you’re interested in Apple Park.